What Is the Soundcraft Signature 22 MTK? Who Is this Analog Mixer Designed for? Conclusion – Should You Consider the Soundcraft Signature 22 MTK? 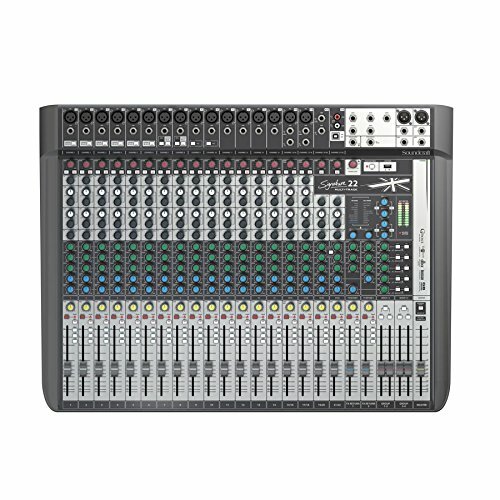 When you’re looking for a great mixer, you will want to consider a Soundcraft piece of equipment. They have more than four decades of experience and a wonderful reputation for producing high-quality mixers that won’t fail when you’re on the road and performing. Not only do they offer many different mixer formats so that you can choose the right one for your needs, but all of their equipment is designed to give you the power and control that you desire. Their Signature 22 MTK is a powerful piece of equipment designed for the ultimate control. The Soundcraft Signature 22 MTK is a small-format analog mixer that is designed to really shine when used on the stage. It features respected and time-tested technology from Soundcloud and is small enough to easily fit up against the wall as it has a low profile without any ventilation holes or controls on the back, which is great for use in smaller spaces. It has controls that are evenly spaced and easy to use due to their slightly larger knobs. 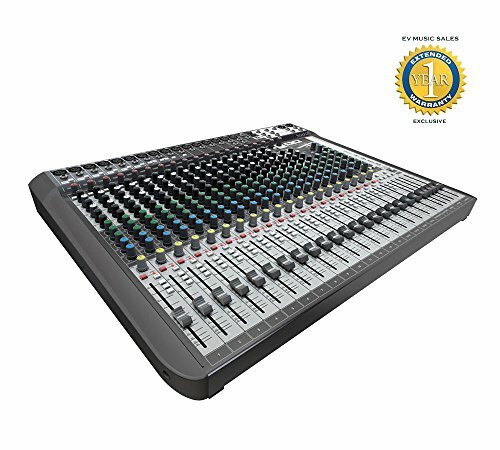 Additionally, this mixer is designed by Soundcraft to offer incredible sound control due to the user’s ability to adjust EQ as needed. This powerful mixer is perfect for any gigging, touring, or traveling musician who wants to enjoy complete control over their sound. It’s an incredibly durable piece of equipment that won’t be damaged on the road but is just at home in a more permanent position such as at a church. The higher price tag of the Soundcraft Signature 22 MTK can be a bit of a turn off for some musicians and can put it out of reach for beginners and even intermediate users. However, professionals and advanced musicians will really appreciate the sound control that they can get with the Signature 22 MTK, even though it is a little higher priced than other similar options on the market. The Soundcraft Signature 22 MTK ships by itself, which is very common for mixers. 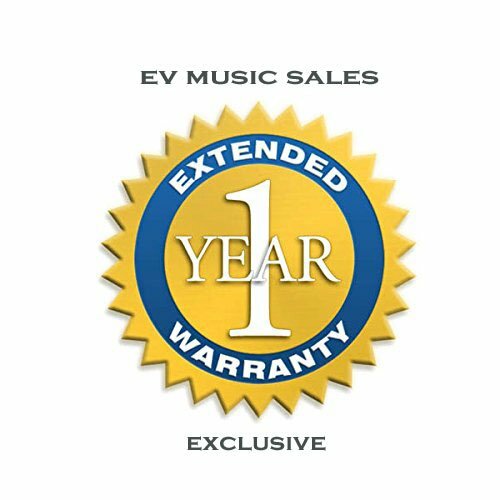 However, when you purchase it, you will enjoy incredible software that is already loaded onto the equipment. The Ableton Live 9 Lite and Pro Lexicon Effects provide users with plenty of control and sound effects to choose from. In addition to this mixer, however, you will want to make sure that you have on hand your instruments and any cords or cables that you need to connect them to the Soundcraft Signature 22 MTK. This will allow you to set up your new mixer and start making music right away. The ultra-low-latency USB interface in the Soundcraft Signature 22 MTK does an incredible job of capturing each channel, which makes it possible for musicians to mix and produce their sound without worrying about quality. Thanks to the Hi-Z and XLR inputs, it’s easy to directly connect instruments to the Signature 22 MTK, eliminating the need for musicians to purchase other hardware when using this mixer. The multitrack USB interface on the Soundcraft Signature 22 MTK makes it a great option for use in the studio, as well as for during live shows. The internal universal power supply means that you can take your new mixer with you on the go without worrying about how you will power it. Additionally, just like other Soundcraft equipment, the Signature 22 MTK is designed with an incredibly durable and strong chassis, preventing it from being damaged when on the road. Thanks to the 24 different channels of USB connectivity, the Signature 22 MTK is great for making multitrack recordings of your music or live show directly from the board, without having to use a computer. The Signature 22 MTK is an incredible mixer for most musicians, but if it is priced out of your budget, then you will want to look at something a little more affordable. The Yamaha MG20XU has 20 inputs, as well as great SPX digital effects. It’s a three-band EQ mixer with high-pass filters so that you don’t have to deal with any ambient noise when recording or playing, making it a great option for beginners and intermediate musicians. 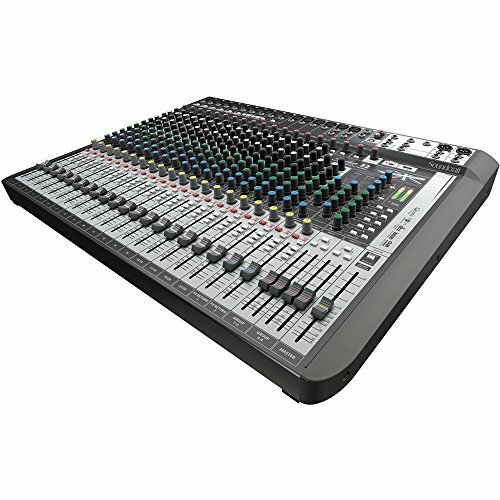 On the other hand, if the Soundcraft Signature 22 MTK simply doesn’t offer you enough control or inputs, then consider the Yamaha MGP32X. 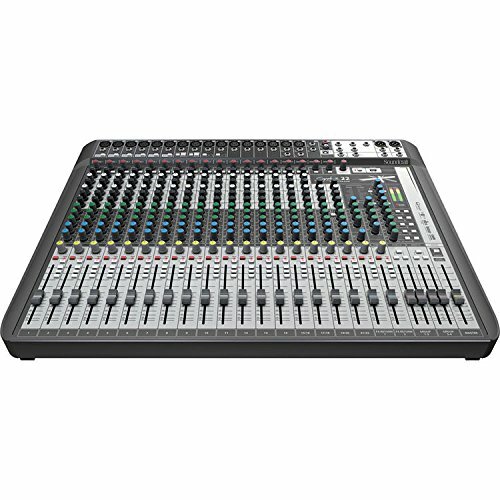 This powerful mixing console has an impressive 24 mic inputs, as well as 32 line inputs. Four of these are stereo, and 24 are mono. It boasts six AUX Sends, two FX Sends, and 48V of Phantom Power per mic input, making it not only powerful but an ideal option for a larger setup. The Soundcraft Signature 22 MTK is definitely an investment, but if you have the budget and are in need of a powerful mixer for use on the road, then you will want to consider it. 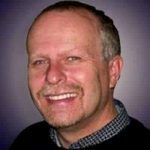 It’s not only loaded with great features that make it a powerful option that is perfect for most people, but it is surprisingly easy to use. It works well as a recording interface thanks to the impressive and stable audio performance that it provides. Because it can be used right out of the box without a lot of time-consuming or difficult setup, the Soundcraft Signature 22 MTK is great for musicians who are in a hurry and focused on making music, not worrying about their equipment. It boasts incredibly simple operation and impressive audio quality, making it a great option for anyone looking for a smaller mixer that has a great input count and reliable computer interfacing.